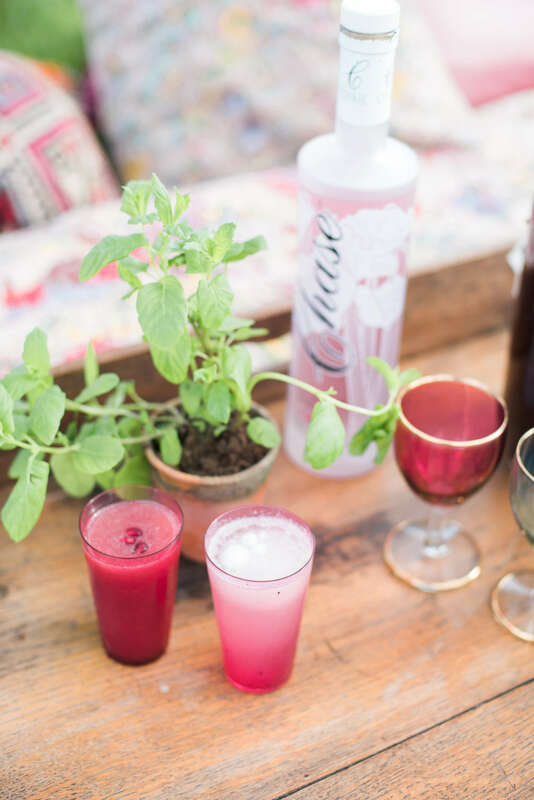 W e provide a choice of champagne and prosecco bottles and jugs of Pimms & fruit. We can also supply Sparkling Italian Wine in barrels and on tap reducing our carbon footprint and ensuring a constant supply all evening! All our quality wines are also locally made and from Aldwick Farm. W e can set up as a fully stocked mobile bar with spirits and mixers. We like sustainability and buying local, so our products are locally sourced where possible; Thatchers, Butcombe, Aldwick Farm, Hullaballoos, BrewDog. We also have locally hand-made flavoured vodkas and gins! You have the option of pre-paying for all drinks for your event or asking your guests to pay as they go - or a mixture of the two. Want us to stock something specific? Just ask! Don't have room for the van? Not a problem - new for 2017/2018 - our rustic gazebo is now available! 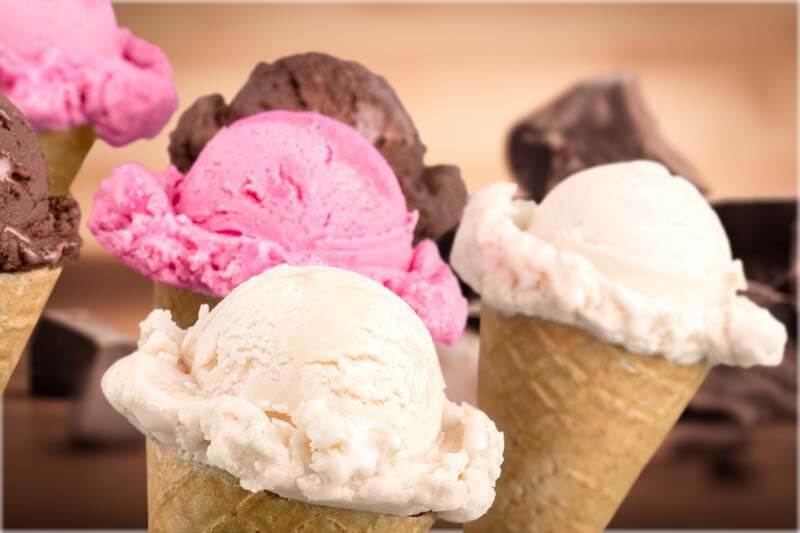 P roviding scrumptious artisan ice creams from local Taunton ice-cream maker Granny Gothards. Served in luxury waffle cones or our 100% compostable tubs with spoon. We also include our Sundae table so guests help themselves to toppings. Ice creams are gluten free. Sorbet is suitable for vegans and those with a dairy intolerance. 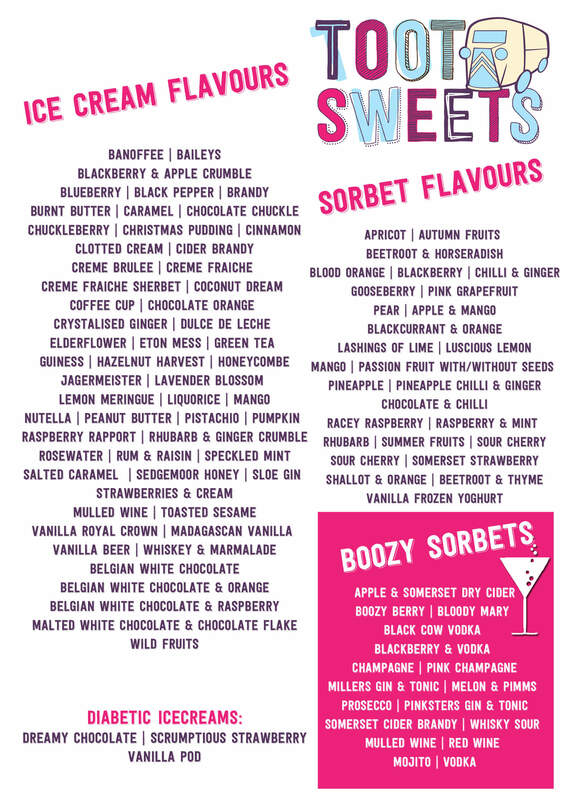 We have over 100 flavours available so there is a flavour to suit your tastebuds! Retro milkshakes are available too - any ice cream or sorbet or boozy sorbet is turned into a retro style milkshake - so Baileys, Whisky & Marmalade, Honeycombe, Lavender, Eton Mess - Melon & Pimms - the list is endless! S peciality teas, decadent hot chocolates and the best barista style Italian Fairtrade coffee beans on board. Each cup is ground to order and smells/tastes amazing. Flat Whites, Latte, Cappuccinos and more with soya, oat, almond, coconut milk available as well as decaff options. 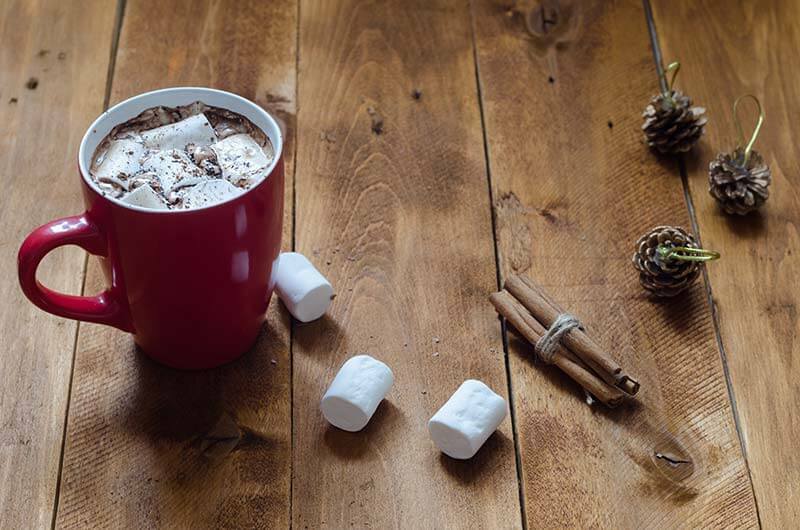 Add the mobile bar option and we can add a shot of Baileys, Whisky or brandy to your coffees/hot chocolates as well! We can add home made cakes, cookies, traybakes and cream teas to this option too! Contact us today for a bespoke quote. P lanning a themed prohibition/bond/casino/gatsby event? Our Sundae Girl Usherettes are themed in outfits to suit your and mingle amongst your guests with usherette trays providing Gin & Tonic, Melon & Pimms, Pink Champagne or Mojito boozy sorbets to your guests in small shot glasses, mini waffle cones, chocolate cups or sweet pastry bases. We can provide any theme so contact us for something unique and decadent for your event! Mobile Bar; Prosecco Bar; Cider & Wine Bar; Vintage Coffee Van; Waffles & Icecream Parlour; Wine Bar; Icecreams and Retro Milkshakes Parlour; Cocktail Bar; Corporate Branding and Promotion. Contact us to talk about your event and how we can adapt Belle to suit your requirements - you can have a mixture of any/all the above.